These Banana Egg Muffins from The Whole Smiths are the PERFECT easy-to-make breakfast. 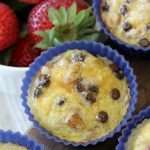 They are lightly sweetened and taste like a delicious banana pancake in muffin form. Grown ups and kids alike are falling in love with them. Will you be the next? Banana eggs. The gift that just keeps giving. If you aren’t familiar with Banana Eggs, let me fill you in. They’re a recipe found in The Whole Smiths Good Food Cookbook and A. People cannot get enough of them and B. They are the perfect breakfast when you are sick.of.eggs. Even though they are eggs. But I know what you’re thinking, eggs? Together with bananas? Gross. I can’t even. But hear me out. These are going to taste really similar to banana pancakes but without the fuss of having to make them in batches, flipping them perfectly (because who of us has actually mastered that) and by putting them into muffin form, they become portable! 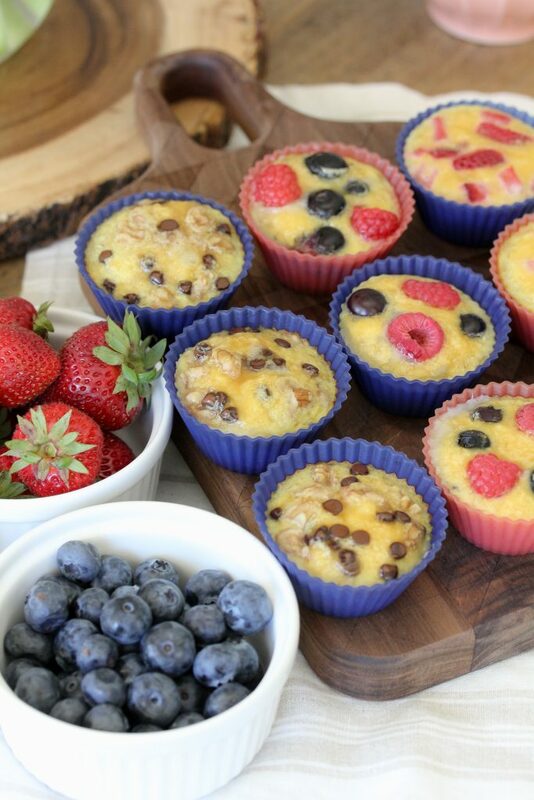 While banana eggs are amazing all on their own making them into muffins just takes them to the next level. 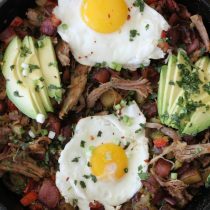 And yes, they are great to meal prep ahead of time and reheat in the mornings. 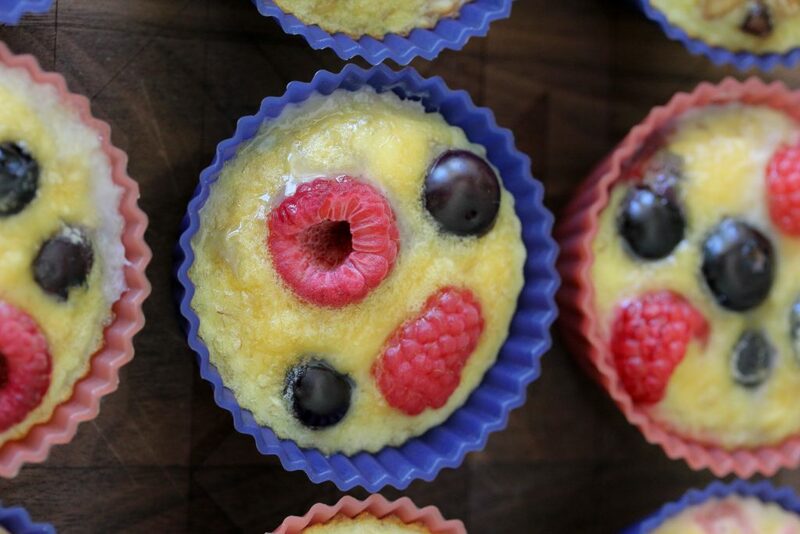 During #bananaeggs week on Instagram, one of my fellow readers tried making hers into muffins and tagged me. While she mentioned her first attempt hadn’t been successful I decided to take a crack at it and see what I could do. Soon after, presto! Banana Egg Muffins were born. But here’s the deal, I decided to publish this recipe as a thank you / bonus to all of you who have supported my book. Your support, excitement, posts, comments, DMs, EVERYTHING have meant the world to me throughout all of this. So in the form of Banana Egg Muffins, I thank you. If I could hand make and deliver them to each of your homes, I would. The recipe for the banana eggs, which this recipe uses, is in The Whole Smiths Good Food Cookbook. You can order it here if you don’t already have your copy. The banana eggs “batter” is the base of this recipe. Ok, now that we have that all out of the way! Just like their big sister, you can add all sorts of toppings into these bad boys. From fruit, to chocolate, nuts and coconuts, the combinations are endless. 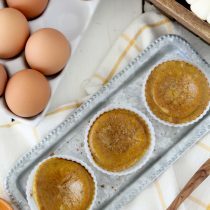 I’m even thinking I’m going to try and make some Pumpkin Pie Banana Egg Muffins in the fall, so stay tuned for that. 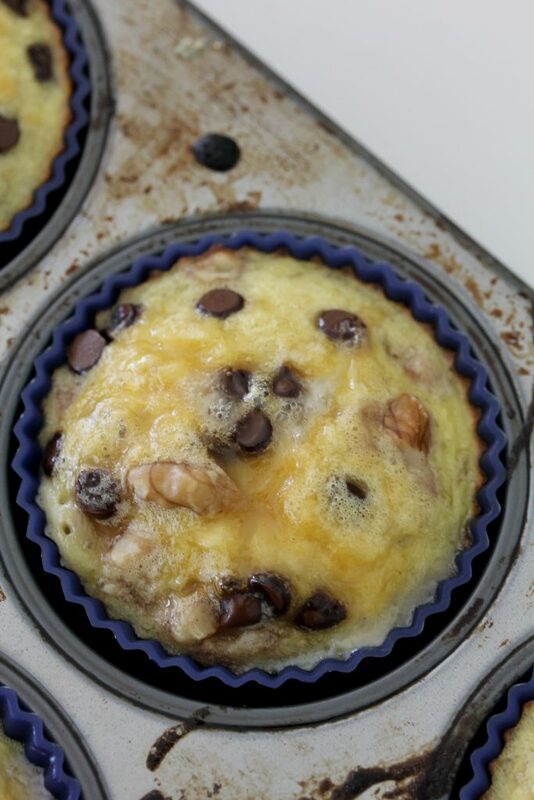 Do you want to know what the absolute best part about banana eggs / banana egg muffins? Kids LOVE them. Love them! That has been one of my absolute favorite part about seeing all of your Instagram posts, how much your kids love them! I can’t tell you how many messages I’ve received from parents everywhere saying that FINALLY they have been able to get their kids to eat eggs. Here’s where it gets cheesy… this is why I do what I do. 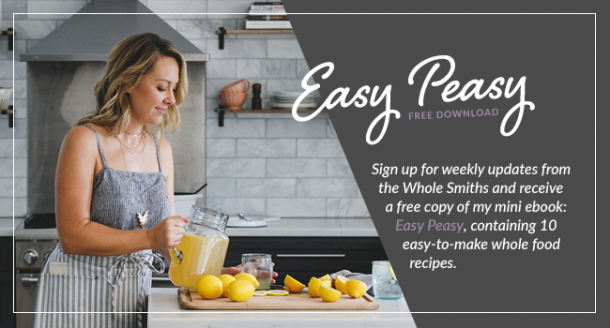 To help you solve a problem, to help you make eating whole more manageable, delicious and attainable. It warms my heart. So thank you for sending me all of those sweet pictures, DMs and comments, it motivates me to keep going on those days where I’m over algorithms, excess emails and other general annoying parts of blogging. Thank YOU. On to the banana egg muffins. I recommend HIGHLY using silicone muffin liners so they just pop out. Any egg muffins I’ve ever made come out better using them as they never stick. You can find some here on Amazon. I also use them for regular ‘ol muffins and cupcakes regularly. 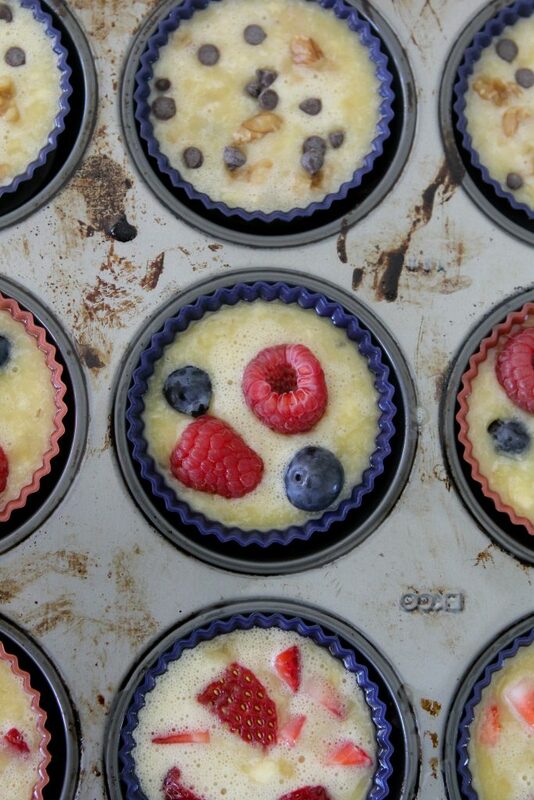 You can also use a non-stick muffin pan but they do cook up a little differently. Despite all of non-stick preventedness steps I’m taking, I still like to lightly grease the liners or pan. You can use coconut oil, avocado oil, really any of your favorite oils. 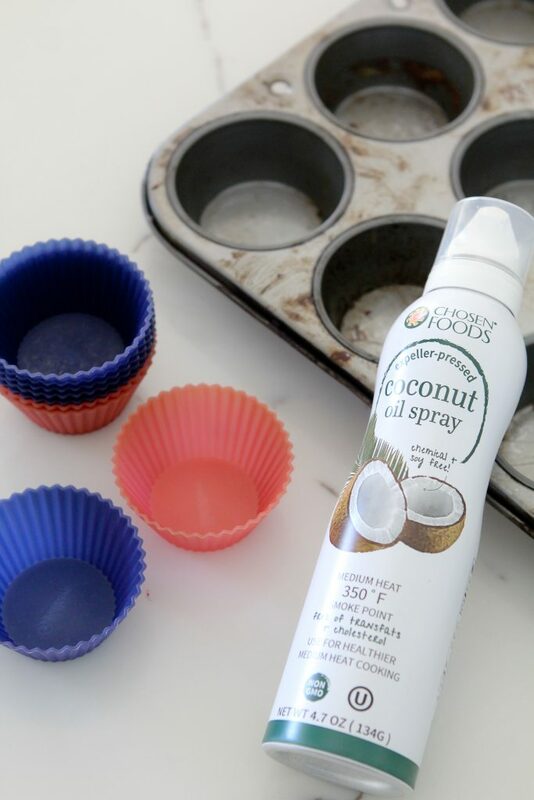 Personally I like using the coconut oil spray from Chosen Foods because it’s mess free and easy. But like I said, any oil will work. Once you have that down, simply mix up your banana egg batter and pour them into the liners / pan about 3/4 of the way full. Then add your toppings. And like I said, whatever you’d like. Get creative and find some combinations you and your family love. My personal favorite at the moment is mini-chocolate chips and walnuts, like banana bread. So tell me, are you guys ready for Banana Egg Muffins? What’s your favorite flavor combo with them? These Banana Egg Muffins from The Whole Smiths are the PERFECT easy-to-make breakfast. 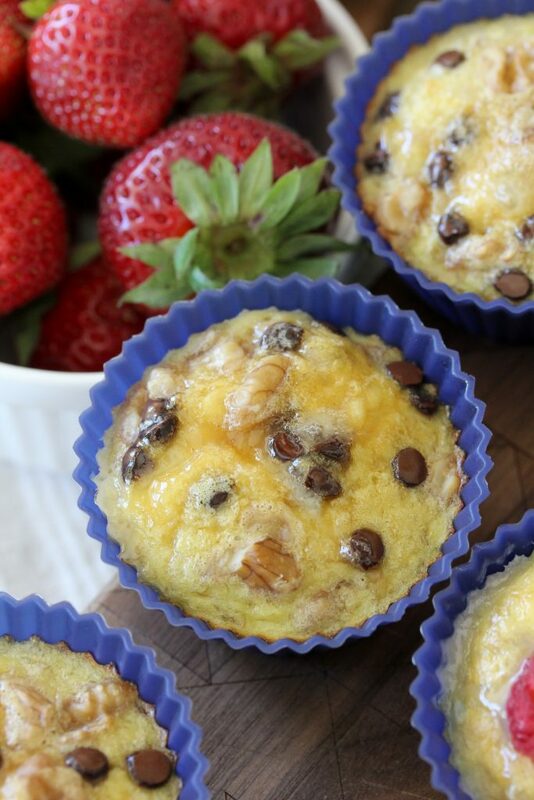 They are lightly sweetened and taste like a delicious banana pancake in muffin form. Grown ups and kids alike are falling in love with them. A selection of toppings of your choice. Plan for about 1-2 teaspoons of ingredients per muffin. That will vary slightly based on the ingredient. ie blueberries vs. shredded coconut. 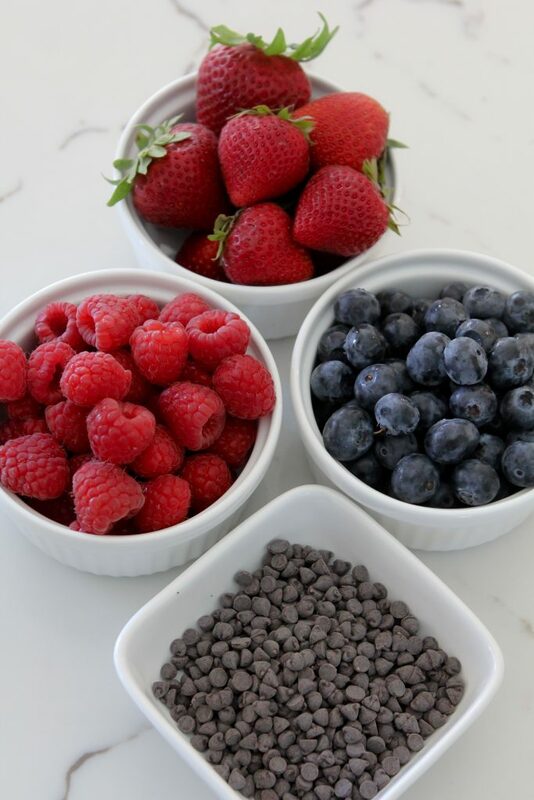 Ideal toppings include blueberries chopped strawberries, walnuts, mini chocolate chips, shredded coconut, ground flax seed, raspberries, pecans. Get creative and delicious, you won't mess it up! Pour the batter evenly amongst the 12 muffin liners / cups. 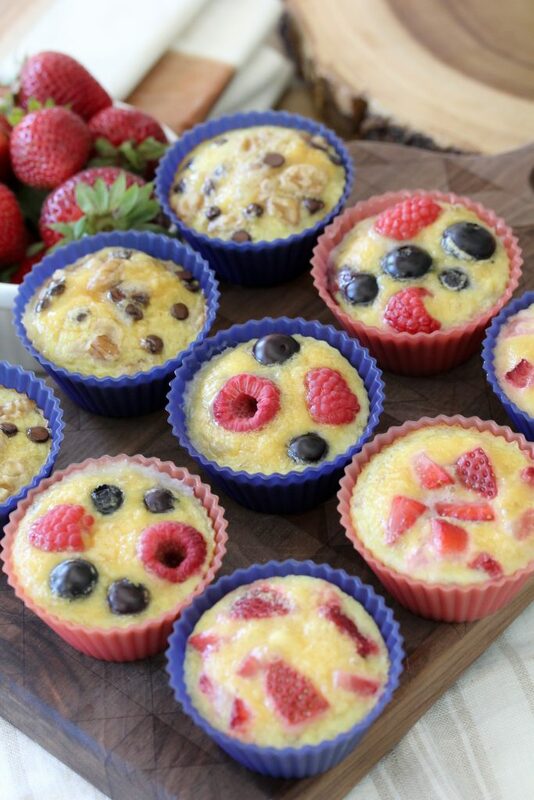 Add your toppings into each muffin, about a teaspoon or two of ingredients into each muffin will work. Bake for 12-15 minutes until the eggs have cooked through. Let cool sightly and serve. I’ve been eating banana eggs for breakfast all week but preparing them daily so washing pans etc each morning. Looking to save time, I just made a 1/2 recipe of the muffins tonight. I wasn’t sure how well they would come away from my muffin tin. I don’t have the silicone inserts. I sprayed well with coconut oil spray and they slipped out easily after 12 minutes in the oven. Perfect! Ready for the week! Thanks!!! Banana eggs for life!! What is the best way to store and reheat these? What if I have a kid who doesn’t like bananas? Is there a savory substitute I can use? I have your cookbook and love all your recipes; especially the banana eggs. I do have a question: Can you store banana eggs as leftovers? I made a full batch and I am feeding only two people. Thank you! 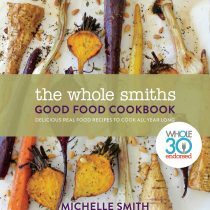 The ingredients are “Ingredients from the banana egg recipe in The Whole Smiths Good Food Cookbook”? 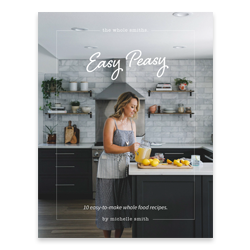 You are not sharing a recipe, you are plugging your book. What a let down. 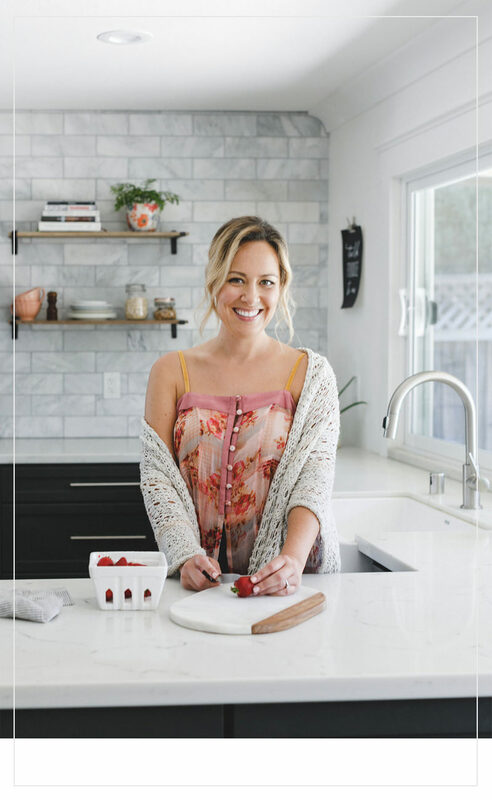 If you read the post, this recipe is a thank you to those who purchased my book.